Akshara said as a child she was highly influenced by her parents. 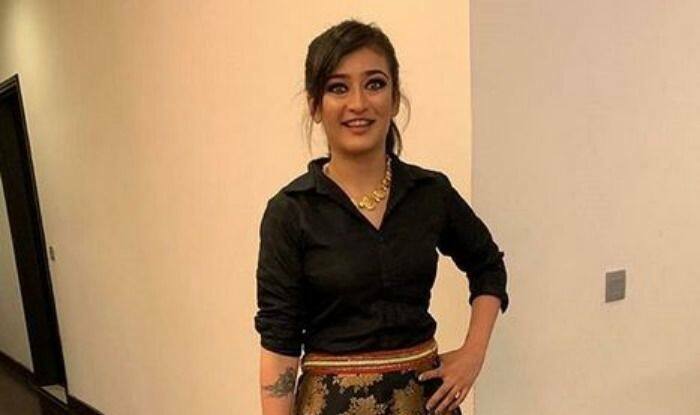 Actress Akshara Haasan, the younger daughter of veteran actor-filmmaker Kamal Haasan and National award-winning actress Sarika, says that though as a child she was highly influenced by her parents, she was always encouraged to have her own identity and become the best version of herself. Talking about the influence of parents, Akshara told IANS: “Both my parents have quite a strong and influential personality. It is then obvious to get impacted by their thoughts and of course as children, me and my sister (actress Shruti Haasan) were so influenced by our parents. “I always loved dancing and I am doing that… I like the process of filmmaking as well as acting. So, I am doing that as well… Nothing is forced on me,” added the actress, who recently appeared in a short film titled Joyride. Meanwhile, Akshara is exploring different film industries in the country. She has acted in Tamil films like Vivegam and Kadaram Kondan. In Bollywood, she shared screen space with Amitabh Bachchan and Dhanush in the film Shamitabh. She also acted in Laali Ki Shaadi Mein Laaddoo Deewana. “After Shamitabh, I did another film which did not work well at the box office… Failure is a part of building my career and I think it is good that such things are happening at the beginning of my journey. I got a chance to reassess my craft and I also took a professional acting course that taught me some important things,” she said. “Growing up with two powerhouses of talent – my mom and dad – I have seen how they worked on good stories. My father not only made interesting films, he always picked quirky characters. My mind and thought process have developed in a certain way which are different from others. So my understanding of cinema is different,” added Akshara.